My programme and ticket from one of the two performances I had attended this past June. I’ve written in other parts of this blog about how successful the current production of Anne & Gilbert: The Musical is and that I think it has to do with the strong cast, led by Ellen Denny who plays Anne Shirley and Patrick Cook, who plays Gilbert Blythe. 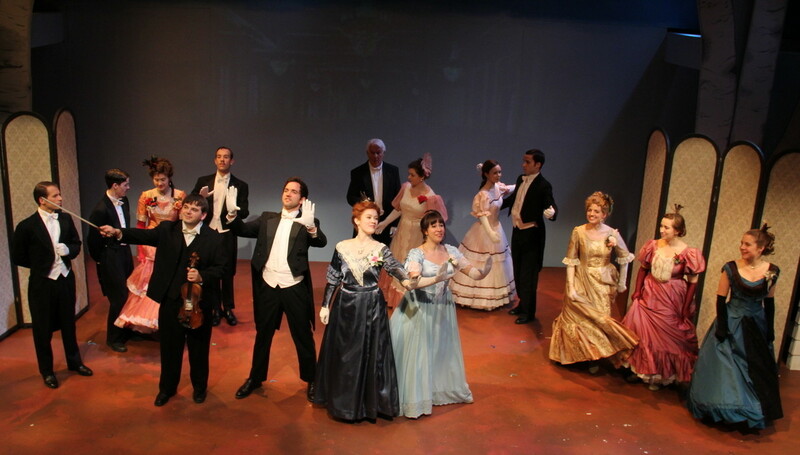 Briefly, the show is a successful adaptation of Anne of Avonlea and Anne of the Island (the latter being my favourite of the Anne books) which follows the years Anne teaches in Avonlea and then her four years in Redmond College. Choosing to focus most specifically on Anne and Gilbert, gives the show its emotional core as we keenly feel Gilbert’s frustration because Anne’s romantic notions cloud her feelings for him. But it also opened up opportunities for Anne’s emotional development to find her sense of self. It isn’t just about her getting the guy, it is about her figuring out who she is so she can open herself up to love. Having seen the show about six or seven times (okay a lot! ), I’ve seen other interpretations, and have pondered what it was like for the actors to play such highly visible roles, roles that people (such as myself let’s face it) will be going in with preconceived notions of what it means to be Anne Shirley and Gilbert Blythe. When I think of Ellen’s interpretation of Anne, the scene that comes to mind is during the “Jonah Day” number–a song that is sadly not on the CD!–and she’s totally lost in the emotional crux of the day. She’s jumping around and being so in her body, so in her character. When Marilla enters to tell her some news, something physical happens in the way Ellen/Anne carried herself, that was such a contrast to what she had been doing. I think it is interesting that Ellen mentions her dynamic with the actress who plays Marilla below. I’m thrilled that Ellen Denny agreed to come on the blog and talk about Anne. Admittedly, my inner fourteen-year-old is trying to hold it together. Here’s hoping that I didn’t embarrass myself too much. Ellen Denny is currently spending her second summer starring as Anne in Anne & Gilbert: The Musical at The Guild in beautiful Charlottetown, Prince Edward Island. Recent credits include a new Canadian historical play In His Name; A Christmas Carol for Neptune Theatre; The Penelopiad for Citadel Theatre; Sweeney Todd for Neptune Theatre; and Funny Money, Three Munschketeers, and Peter Pan for Festival Antigonish. 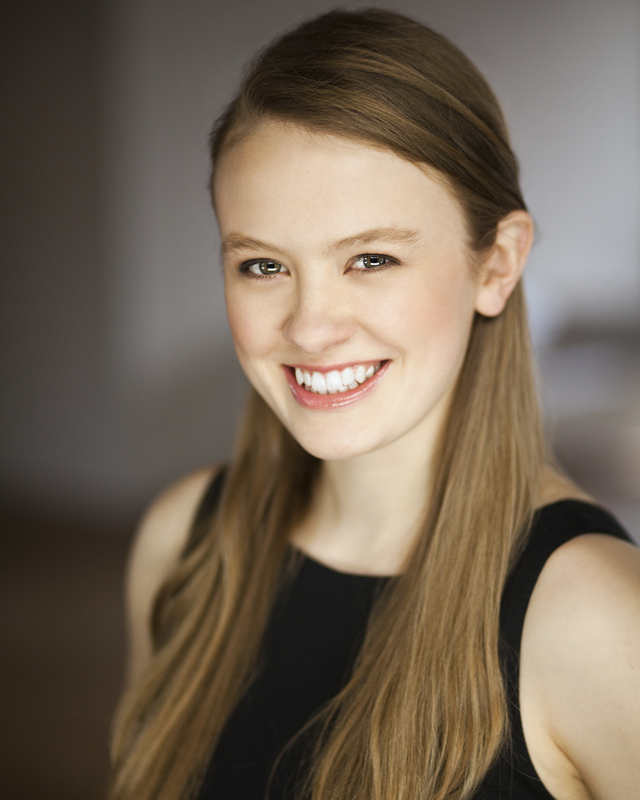 Originally from London Ontario, Ellen holds a BA Combined Honours in Music and Theatre from Dalhousie University, and was a 2013 participant of the prestigious Citadel / Banff Centre Professional Theatre Program. Next up, Ellen will be appearing in A Christmas Carol for Theatre New Brunswick, followed by the Canadian premiere of Tony Award-winning play Vanya & Sonia & Masha & Spike which will be co-produced by Manitoba Theatre Centre and Mirvish in Toronto. Mel: When you were cast as Anne Shirley, what kinds of things did you consider as you were developing her character, research etc.? Were people’s perceptions a factor when you were considering how to play her? Ellen: Anne is one of my all-time favourite literary characters so I was thrilled to get the chance to play her. The first step was of course to reread the books, particularly focusing on the second and third books, from which Anne & Gilbert is adapted. Through this process I took a lot of notes along the way – especially anytime Anne was described either by the writer or by one of the other characters. It is one thing to consider how a character perceives themself, but a lot can also be learned if the actor considers how the other characters perceive their character. 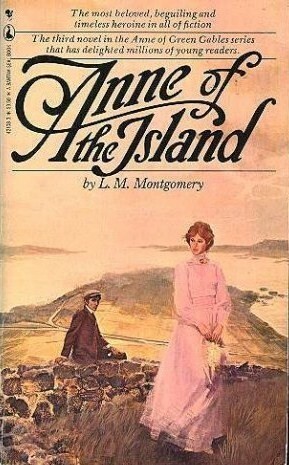 I researched L. M. Montgomery’s life as well (which was easy once I arrived on PEI and could use the Confederation Centre’s library), and thoroughly enjoyed getting a visual on the time period through photos of where Montgomery grew up, and also drawings of the fashions and customs of the time. One thing I tried to avoid during this creation period was other people’s interpretations of Anne. I didn’t let myself re-watch the movies, or see the first Anne musical, because I wanted to make sure I found my own ‘Anne’ without being too influenced by others. Mel: You’ve played a number of roles, such as “Johanna” in Stephen Sondheim’s Sweeney Todd, for the Neptune Theatre. I find that when I approach a novel, each one writes itself slightly differently. Do you find that when you start to embody a character, do you use similar techniques or have to incorporate something new? If so, how? Ellen: There are certainly differences to each production experience – for instance playing a role at school, which is designed to be a learning experience, is slightly different from playing a role on contract when it’s your job to get it right. The biggest difference though comes from who the director is and their style – some leave everything up to the actor to discover, some want to collaborate with you and talk things out, and others have a really set idea that you have to then accept and make work for yourself. For me personally, I find costumes a huge help in embodying my character, especially since I primarily do historical pieces. During the rehearsal process, when costumes are typically not available yet, I’ll wear a long ‘rehearsal skirt’ or petticoat to give at least a sense of the period clothing. It makes you carry yourself differently. Mel: I do something similar with my hair. For one book I cut my hair short and for this one I’ve been growing it long and putting it up in a bun. When you step into character, do you feel a physical difference? For example, with Anne, is there something you notice about her that makes you aware that you are now playing someone else? Margo Sampson as Rachel Lynde & Carroll Godsman as Marilla Cuthburt. Ellen: Absolutely. Physicality is a very important aspect of performing. With Anne, the director really wanted to me to find more youth so I used physicality for that. I find that my Anne is always moving and that she uses her whole body to express herself because her exuberant energy can’t help but spill right out her fingertips and toes. It makes a great contrast to Marilla (played by Carroll Godsman) who is totally grounded and contained physically. Mel: What kind of attributes did you give to Anne, or that Anne gave you? Ellen: Anne and I share a lot of the same attributes – we’re both sensitive, intellectual, self-driven, fiercely loyal and affectionate towards friends and family, and like her my tongue can run faster than my brain, getting me into trouble. Playing her is like soul food because she is so filled with passion and appreciation for even the smallest aspects of life – like a tiny wild flower. She teaches me to be free, with my thoughts and dreams and emotions. Mel: When you talk about her as “soul food” it really resonated with me as I think her character does somehow nourish people and probably one of the reasons why people re-read Anne as they do. Be sure to come back on Thursday when Ellen and I explore some of notions around Anne, her relationship with Gilbert, and what is it about him we like so much. This entry was posted in Blogging, Embodying Character Series, Inspiration, L.M. Montgomery, Literary Book Boyfriends, Theatre, Writing, Writing Life and tagged anne and gilbert, anne and gilbert: the musical, anne of avonlea, anne of green gables, anne of the island, Anne Shirley, book boyfriends, ellen denny, Embodying Character Series, Gilbert Blythe, l.m. montgomery, mirvish, patrick cook, Sandra Nickel, the guild, writing life, yoga. Bookmark the permalink. Yes. I only realized that about myself when I had the sudden urge to write with my hair in a bun and I never wear my hair in a bun. 🙂 Let me know how it goes. I know, right? Ellen really hit the right chord when she said that. I really enjoyed reading your interview, especially the parts about Ellen’s research process and your hair. I noticed that neither of you tried out green hair as part of getting into character…. What a challenge it must be to hit the right balance between doing enough research and not being influenced too much by other people’s interpretations. Looking forward to tomorrow’s post. Yes, Sarah. I suspect there is a limit on how far one might go for their art. 🙂 And you’re so right about the balance. I’m so glad that you’re enjoying the series. Nancy White! I’m the one who is honoured! Excuse me while I gush! How incredibly cool to have the writer and composer of the musical stop by and say hello! (Note all of the exclamation points.) I’m so pleased that you’ve enjoyed the interview. I’ll be curious to see what you think of the rest of the series. I had heard about the power failure but I hadn’t heard how it was handled. This doesn’t surprise me in the least as Ellen and Patrick have such class and you can tell by watching them perform how intimately they know the show. I hope this series helps bring awareness for them and for the show! Great interview! This show sounds fabulous, and it’s so interesting to think about the connections between acting and writing. Thanks so much! It is a fabulous show and I hope that you get to see it sometime. It is one of the reasons I wanted to do this series because I love seeing these connections between acting and writing.